The writing is on the wall: web conferencing is here to stay. More and more businesses are choosing to split up their teams remotely and choosing to adapt to the way mobile technology is shifting how we all communicate. There’s a lot to consider when determining which web conferencing solution works best for your company, but luckily, there are plenty of resources available online that can point you in the right direction. 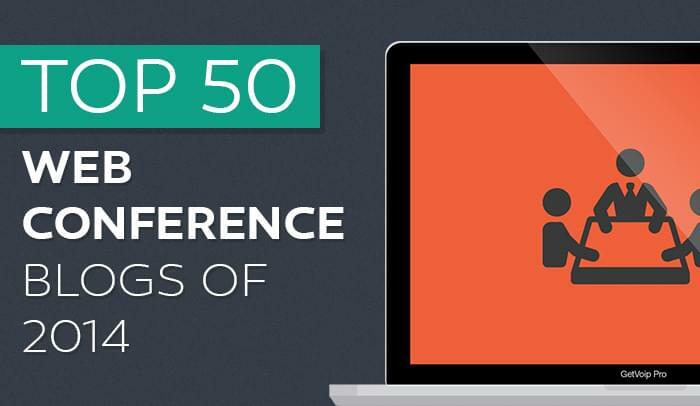 Here are 50 blogs (listed alphabetically) that can shed some better light on what a foray into the world of web conferencing would look like. For product news and how-to videos that cover how to ladle web conferencing for various soft phones, 3CX is an excellent resource. The nuances of how to run effective web conferences are covered here on AccuConference’s blog. Adigo’s blog does a great job of explaining in great detail what separates good meetings from better ones… without over-complicating anything. Adobe’s Connect team covers product updates and offers advice for those interested in getting started with webinars. 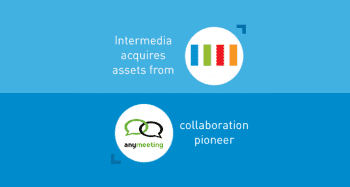 For users of AnyMeeting’s popular web conferencing service, the blog features up-to-date information on the product. For small businesses, this blog covers everything from web conferencing to social business to the latest tech trends. Avaya’s blog covers evolution. Specifically, it covers the evolution of business communications in a mobile world and the evolution of the video-centric workplace. BigMarker’s blog is all about how to improve the webinar experience—from the top products for communication to the best methods of utilizing software. The team at Blue Jeans Network posts articles for small businesses that utilize their software or are interested in industry updates. Brother does more than web conferencing, but their blog definitely dives into relevant industry news when it’s necessary. There’s a lot of content here, and much worth checking out. 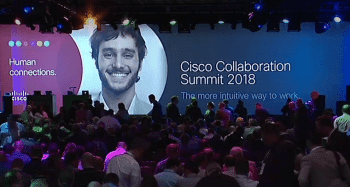 Cisco’s team of experts provide the know-how about collaboration and effective video communication. Citrix’s blog is versatile; it cover video conferencing and GoToMeeting product updates… and also covers how to manage virtual meetings of groups of any size. Webinars have many purposes and use cases, and ClickMeeting’s blog sheds light on all of them. For a day-by-day breakdown of the latest happenings in web conferencing, Conferencing News has got you covered. Primarily for Microsoft Lync and Adobe Connect users, this blog goes through the nitty gritty of how to better your collaboration strategies. For a look into all the different ways web conferencing can be implemented in a business strategy, this blog has got you covered. If productivity is something you want to become better at, Digital Visual Communications’s blog will walk you through the steps you need to get there. Why are web meetings better for SMBs than traditional face-to-face meetings? Drum’s blog answers this question and more in articles that cover everything from meeting preparation to why web meetings are better for the environment. Intended for users of FreeConferenceCall services, this blog is a library of how-to articles and tips on using their products. Fuze is an industry stalwart and their blog is as versatile as they are; there are articles that range in complexity from setting up Fuze in your office to how to handle complex small business tasks. Speaker and industry veteran Darlene Christopher gives her users insight into the world of the digital classroom and what that entails. Citrix doesn’t leave anything to chance. Their GoToMeeting blog has everything a small business needs to figure out the ins and outs of web conferencing. With infographics and witty articles, The InterCall Blog is a great resource for people to get a better grip on video conferencing. The purpose of this blog is to educate users on when and how to take advantage of video conferencing resources that are available to them. LogMeIn is a trusted name in the industry, and their Join.me blog capitalizes on infographics and interesting articles to educate the reader on what web conferencing brings to the table. KBZ is a Cisco Authorized Distributor for Cisco TelePresence and Cisco’s other web conferencing solutions; their blog covers the latest updates from Cisco and the industry. Data and stats reign on this blog, giving small business users insight into why web conferencing is worth banking on for the future. The articles on this blog have a lot of information and bullet points, but they also have well-placed images and graphics to better explain necessary industry details. Lucid Meetings cuts no corners with their blog; there’s information about almost everything here that pertains to making the most of web conferencing with teams. This blog is for small businesses that want to take control of how their web conferences convert clients and best reflect their company aesthetic. For SMBs that need a a push in the right direction, ON24’s blog provides tips on how to best utilize services to fit your business goals. Focusing on the classroom, Panopto engages users with big fonts and conversational articles that keep in perspective what web conferencing brings to the table. PGi covers the entire spectrum of online collaboration with their blog. Their articles are sprinkled with wit and simplified so that even new kids on the block can grasp what’s going on in the industry. Web conferencing can help stretch your business, and Powwownow breaks down exactly how it does this. They shed some light especially on European markets and for a more global audience. This is an invaluable resource for small businesses and content marketing professionals, breaking down the industry with clever evergreen pieces and industry-related articles that really hit home. RHUB users, rejoice! This blog answers all your questions regarding RHUB and its web conferencing services. For SecureVideo users, this blog covers their HIPAA-Compliant videoconferencing solutions. SeeVogh is here and it’s got some staying power; their blog pushes their product and explains in detail how to best utilize their services. There are things you should do and things you should not do when setting up videoconferencing sessions; this blog explains it all. For StartMeeting users, this blog is a godsend; it explains where to start and how to succeed with the product. Tely Labs uses its blog to engage its user base and let them know how their service can help bring simple, secure, and affordable videoconferencing to every corner of the globe. If you married video conferencing information and humor, you’d get The Lifesize Blog. The blog sheds lights on what’s going on in the videoconferencing industry. Industry expert David Chao goes over the latest news from the videoconferencing industry. Take some advice from industry expert Ken Molay. 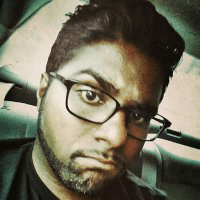 He breaks down web conferencing trends, how webinars are progressing into the near future, and best methods for a quality online meeting. Every last detail on how to run TrueConf services without a hitch is covered here in this blog. UberConference is a new player in the web conferencing field, but they already have a lot of attention heading their way; their blog is an excellent resource for small businesses that have yet to decide on a web conferencing solution. This blog covers news pertaining to the industry and talks about how the future of collaboration is all around us… now. 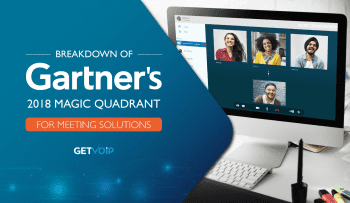 Vidyo has some impressive products out right now and their blog serves as a giant manual of sorts that explains how to make use of their rich features. Windstream gears its blog for enterprise users, providing them with detailed insight into what works best for business cloud and web conferencing solutions. This blog lays out articles that explain how Zoom can better their business and foster team collaboration. All web conference solutions and blogs are not created equal, but they all have their unique uses. Whether you’re in healthcare or education or some industry in between, the truth is that web conferencing can bridge the gaps that occur when meetings can’t happen in one single room. Luckily, the technology has gotten us to a point where distance can’t stop us from being as effective as we want to be anymore. Hopefully, the resources on this list can spur you towards bigger and better ventures.